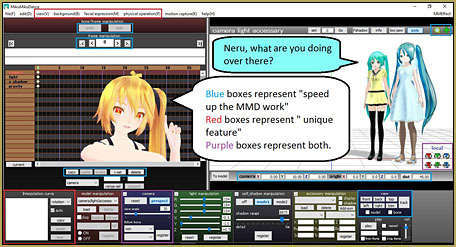 Before I begin with my series of “The making of” articles, I wanted to make one article that generally summarizes how I make all of my MMD videos. I decided to write this article first because the process is common to all of my “making of” articles and I didn’t want to have to repeat myself in each one. And, secondly, if you know my videos, you know that I always try something (and sometimes something completely) new and different. Because of this, I feel that each of my “the making of” articles will be different from one another. Please click on any image to see the Larger version. 1) If you decide to make an MMD video based on a song, listen to the song that you are interested in a few times to get the general idea of what you are about to make. I usually listen to the same song while watching different videos/ visual presentations because it allows me to get some inspirations/ ideas from other people. 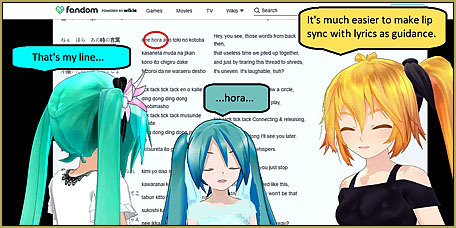 BONUS: It’s best to do some research as to whether or not the song is usable for MMD… so as to avoid a copyright strike. you will be able to know what the song is actually about, especially if it is in the form of language you are not familiar with. BONUS 1: I usually test the facial manipulation first, when I get my hands on a new model, because I want to know if it’s able to provide the expressions I need. BONUS 2: Keep track of the modeler’s name once you have model so that it’s easier to credit the names, later. Make your own ReadMe if you need to. It’s best to have the correct screen resolution; especially if you decide to upload your work such as to YouTube. Otherwise, you may not get the result you want… like in my video (notice there are black/blank spaces at both sides of the video window). 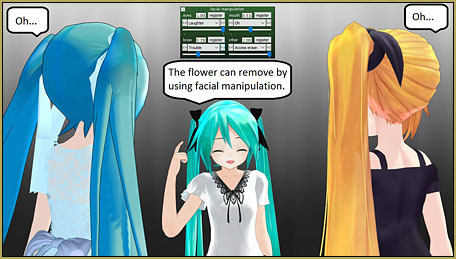 BONUS: make full use of the interpolation curve , physical operation, gravity and other “hidden secrets” as shown below. 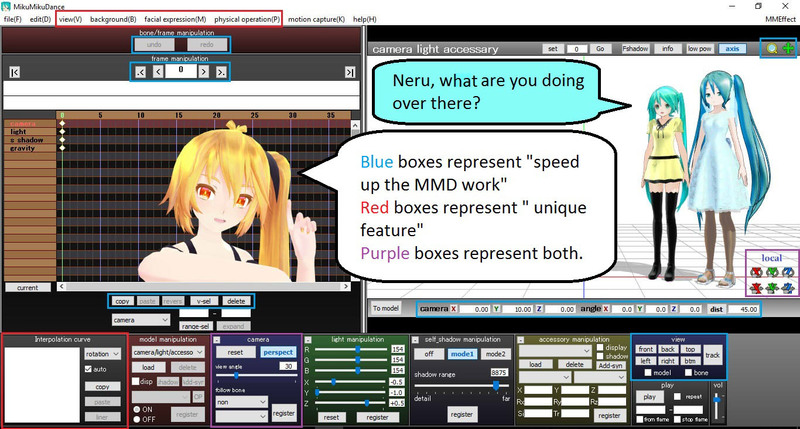 This is how I look at the features… the blue boxes are features that can speed up your work in various ways, red ones are features that can help you make unique MMD works, and purple boxes are combination of both of them! I usually save my work often, especially when I’m about to do something or some motion that I have never tried before, so that I can “go back” to where I started, in case the new motions that I made get very messy and complicated. 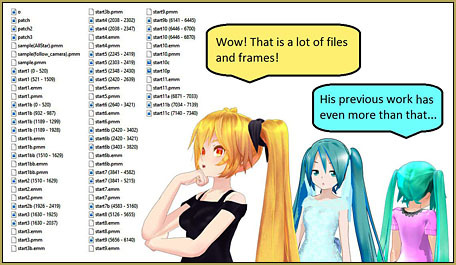 Save your pmm or avi as different files with different names if you are planning to make a very long video. 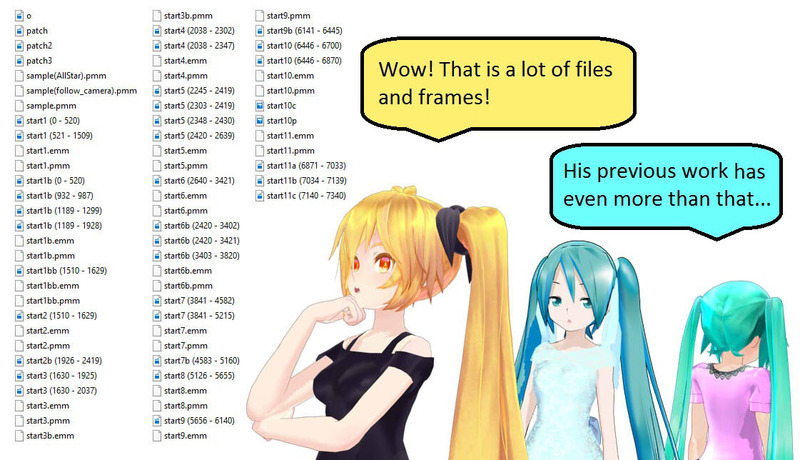 It’s generally a good idea to include frames as well (from what number frame to what number of frame) in the file name. 6) Another important thing is to own other software. Yes… like video editing software… especially if you are creating multiples of videos like I mentioned earlier. 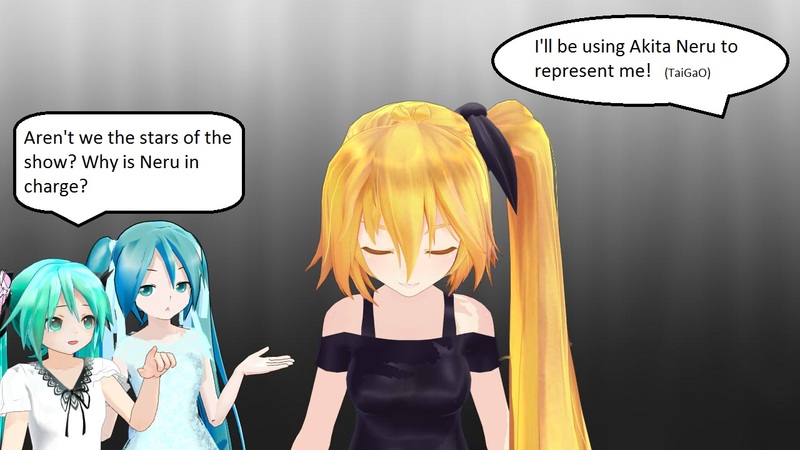 And also perhaps some sort of Photoshop software if you want beautiful and interesting MMD pictures. BONUS: I understand it can be frustrating at times as you need to learn another software… but once you master it, you can create works that are completely unique… like my video and the pictures that you are seeing right now. 7) Double check your work before uploading your work to the internet! I’m not sure if anyone has done this step or not… but I feel it is important as you will able be to check for any mistakes that you have made… such as left out some names during the credits or accidentally copying wrong text translations, and so forth. I know that some of the contents are somewhat incomplete… but as I mentioned earlier, this is just a general article. 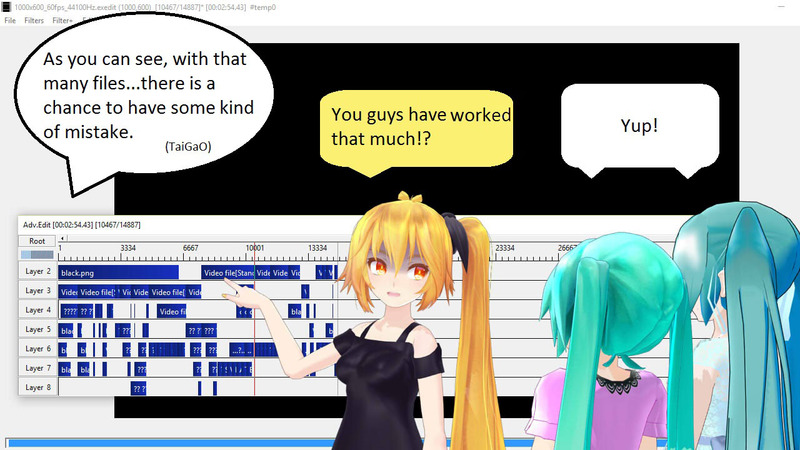 So, I will post my actual “The Making Of” articles sometime in the future.